2019 COCOA MARDI GRAS feat. 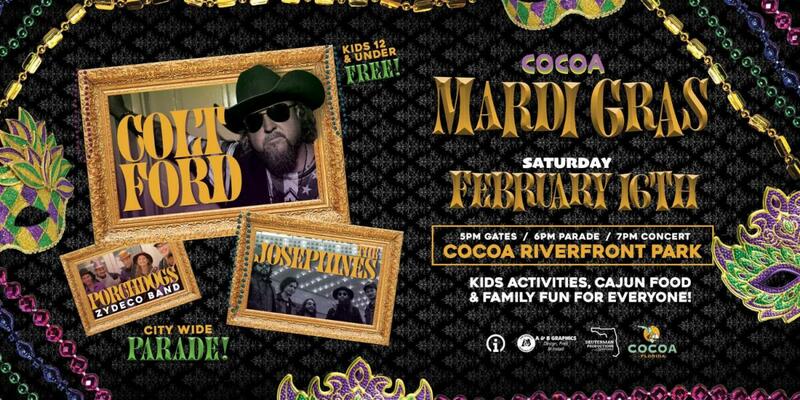 COLT FORD with support from The Josephines, Live Zydeco by The Porch Dogs, Live Street Performers from the French Quarter. Come enjoy a family friendly city wide parade with floats from around the county to ring in the Mardi Gras theme. It's a 30 year tradition in Cocoa Village. Real Street Performers from the French Quarter and Cajun Food for the whole family.